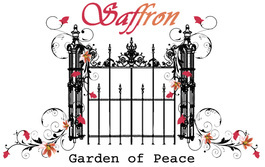 Users contacting Saffron Garden of Peace through this website, do so at their own discretion and provide any such personal details requested at their own risk. Your personal information is kept private and stored securely until a time it is no longer required or has no use, as detailed in the Data Protection Act 1998. This website and its owners use any information submitted to provide you with further information about the services they offer or to assist you in answering any questions or queries you may have submitted. This includes using your details to subscribe you to any email newsletter program the website operates but only if this was made clear to you and your express permission was granted when submitting any form to email process. Your details are not passed on to any third parties, unless you ask us to.